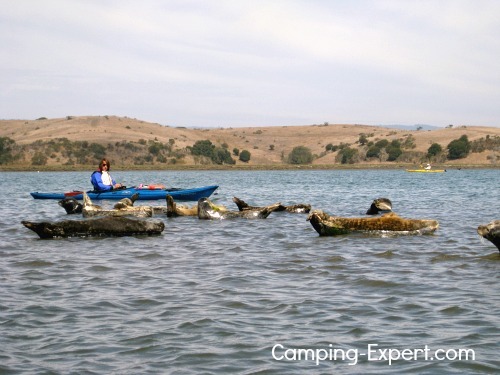 California Canoe and Kayak: A top & favourite kayak trip! California Canoe and Kayak! A fabulous place to enjoy the water! A top & favourite kayak trip! A fantastic place my brother and I found to Canoe and kayak California was found during my camping road trip with my brother. You can also Long board too if that is your preferred water activity. It’s mostly a day trip place, but it’s absolutely amazing, especially for someone who isn’t from the coast and used to seeing such a wide variety of marine life. Plus it’s one of the largest tidal salt marshes in California, so you can’t go wrong! 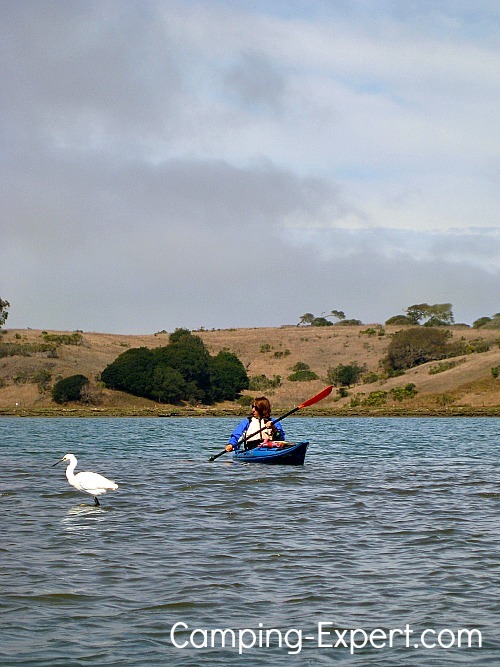 The name of the place is Elkhorn Slough. It is a slough and estuary, on Monterey Bay, near the community of Moss Landing, just south of Santa Cruz. For a day, you can either go on a tour, or if you’re more confident in your canoe, kayak or long boarding abilities, go with a partner and explore by yourself. In fact the water is so calm, that it’s easy to learn! My brother and I decided to take out 2 sea kayaks and off we went. We first came across a sea otter colony, where there dozens of sea otters floating around on their backs. You aren’t supposed to go up to the sea otters, in case you scare them, but you still float pretty close. After the sea otters, you head in to the wetland. We paddled past a bunch of VERY noisy California Sea lions lazing around on a dock. They had smelly breath, and were VERY loud! It was so neat to be able to see them in the wild, up close and personal! We continued on our way and also floated very close to seals. We didn’t move, and just let the tide take us past them. They were unconcerned and continued to laze in the sun! There were many wetland birds such as white egrets, cormorants, terns, American Avocets, and hundreds of species of birds! One of my favourite birds to see during this kayak trip, were the brown pelicans, they would fly right over head, and were very neat! Overall, Elkhorn slough is a pretty amazing little corner of California. It is a great California canoe and kayak location! - This is the ocean, Make sure you go on with the tide, and aren’t fighting the tide. 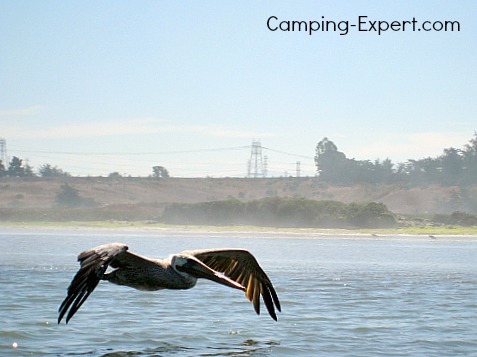 - The people eat the Elkhorn slough california canoe and kayak shops are very good at giving directions to see all the animals and a good route to take. - The place that we kayaked with was Monterey Bay Kayaks. They were super helpful and we had a great time with them! Check out more articles on Canoe Camping - from packing lists to choosing a canoe and other great canoe locations.